Statistics don’t lie. On an anecdotal level, you may be aware of a trend or some changes happening in the business and marketing world. But when it comes to facts, statistics are the way to go. As affiliate marketing continues to develop and evolve, it has increased its share-hold in the marketing world, making available data on the subject become more and more prevalent. This new-found abundance of statistics has released some interesting reading while cementing the strength of this particular marketing channel. According to eMarketer, in 2016 U.S. retailers spent $4.7 billion on affiliate marketing. That represents some 7.5 percent of retailer’s total digital spend. What’s more, Inc.com magazine is predicting that by 2020 U.S. spend on affiliate marketing is expected to rise to $6.8 billion. Similarly, according to a Forester Consulting study on U.S. affiliate marketing spending patterns, total affiliate marketing spend is predicted to grow by a robust 10.1 percent annually through to 2020. This is paralleled across other countries, including the UK. The 2017 Internet Advertising Bureau’s annual report showed the commission value stood at £1.6billion, demonstrating a major investment. All in all, The Awin Report reports the total investment in affiliate marketing globally as over €12billion, clearly demonstrating the growing confidence in the channel by advertisers. Affiliate marketing continues to enjoy rising popularity with leading advertisers. This is largely due to its performance-based nature and cost-effectiveness. Increasingly, publishers are outnumbering advertisers amongst affiliate marketing adopters as they look to generate revenue. As of 2016, 84 percent of publishers and 81 percent of brands had adopted affiliate marketing. In turn, this is placing greater pressure on affiliates for transparency. In recent years, brands such as Warner Brothers and the Kardashians have been scrutinized for failing to disclose paid advertising relationships. Both brands and influencers can expect to face increased pressure to disclose paid endorsement arrangements, and this is likely to significantly affect many affiliate marketing programmes. With heightened regulation, it’s likely both marketers and affiliates will be forced to change or face punitive fines. Similarly, with the advent of the General Protection Data Regulation last May, affiliate marketers will need to monitor their partners for compliance with the GDPR. Vetting relationships assume significance to ensure each party have the appropriate consents and disclosures covering the collection, tracking, and processing of personal customer data. According to Google Trends, search interest in the term “affiliate marketing” rose by 30 percent from September 2016 through to September 2017. As online retail continues to enjoy surging popularity, forcing a decline in traditional bricks and mortar retailing, access to cutting-edge affiliate marketing skills and expertise is becoming increasingly important, particularly to small retailers. Affiliate marketing has become an important strategy to almost 9 out of 10 publishers, accounting for 20 percent of their revenue. This in part has developed because some traditional sources of revenue are declining, so publishers have looked to affiliate marketing to generate more revenue. An example of using affiliate marketing to grow revenue includes the development of Snapchat Discover. According to the International Business Times, since launching Snapchat Discover, the business has secured a network of media partners totalling 19 U.S. and U.K. channels and a further four international channels. Affiliate marketing is now driving the same volume of online orders as email marketing is delivering. Organic search is generating 21 percent of online orders while paid search is driving 20 percent of online orders. News from entrepreneur.com that Jason Stone, better known to his 2.5 million Instagram followers as the Millionaire Mentor delivered $7 million in retailer sales between June 2016 and June 2017 via his affiliate marketing activity. Stone selectively posts affiliate marketing offers to his profile he believes appeal to his followers. That $7 million came without having to incur any of the costs or inconvenience involved in selling his own brand of products or services online. 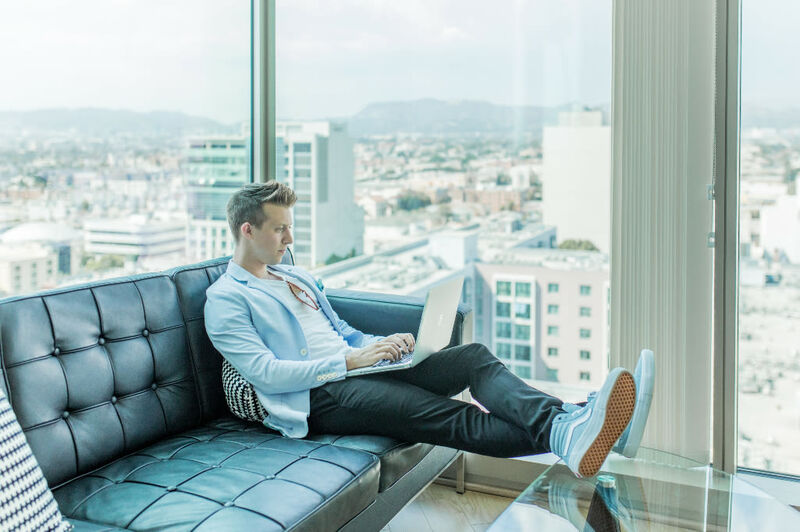 According to Jones, affiliate marketing is at its most successful when influencers focus on promoting products that align with their personal brand and niche market interests. Research by AM Navigator into the popularity of affiliate marketing niches discovered fashion emerged as the clear favourite with 18.7 percent of affiliate campaigns promoting fashion-related products. Runners-up in the study was the sports and outdoor product sector with 14.6 percent of programmes, followed by the health/wellness and beauty sector which accounted for 11.1 percent of programmes. According to industry research conducted by IAB UK, the growth of affiliate marketing is beginning to show up in the U.K.’s GDP performance. This figure exceeds the performance delivered by the entire U.K. agriculture sector. The IAB research also shows that in 2017 increased affiliate marketing spend helped generate 8.9 billion in sales. This 9.2 percent growth is estimated to have created £16 return on every £1 invested. Mobile internet usage exceeded desktops in 2016 and with the advent of Google’s mobile-first index, mobile websites will be ranking higher than desktop versions on smartphones and tablets. Now we see nearly 50 percent of affiliate-driven website traffic is being sourced from mobile devices on the Awin network. So, if your website isn’t configured for mobile browsing you could experience a big drop in traffic. As of July 2018, mobile page speed became a ranking factor further underlining the importance of mobile. Two other interesting stats we reported, was that iPad AOV continued to outperform that of Android tablets, delivering £89.03 in Q1 2016, compared to just £59.86 for Android tablets. Similarly, iPads consistently saw a higher conversion rate of 4.11 percent compared to Android tablets, with a measly 1.29 percent in Q1 2016. According to research by Viglink, publishers have a positive view of affiliate marketing. 45 percent feel it does not interrupt the user experience, while the top reason 76 percent of affiliate marketers pursue it is because they feel it makes monetising website easy. 65 percent also feel it generates additional revenue. A recent collaborative survey by Marketo and Fanatics Media found 22 percent of the current generation of Chief Marketing Officers surveyed nominated affiliate marketing as their least well-mastered area of practice. Given affiliate marketing is one of the best disciplines for driving brand building activity and generating a positive ROI, this statistic could give brand owners cause for concern. According to the National Retail Federation, over a third of marketers feel that affiliate marketing is one of the strongest forms of acquiring new customers. If you’re a retailer and phone calls are an integral element of your marketing strategy, then if you are not leveraging Pay-Per-Call, you’re leaving revenue and future sales on the table. Pay-Per-Call conversions on average range between 10 to 15 percent compared to 2 to 3 percent for online conversions. Affiliate marketers use content to good effect in their campaigns and with good reason. Over the last few years, content produced by affiliates has grown by 175 percent, and the revenue created by content publishers has increased by 240 percent. Content marketing, in general, creates three times more leads than ads, yet costs 62 percent less. As these statistics indicate affiliate marketing is continuing on its growth trajectory. In part that growth is attributable to the explosion in user-generated content and the change in consumer behaviours triggered by the emergence of online retail and social media. Readers are increasingly interested in unbranded content, and with millions of talented content creators out there striving to satisfy that demand through blogging, tweeting or creating YouTube videos, little wonder affiliate marketing continues to cement its status as a reliable and profitable marketing channel.